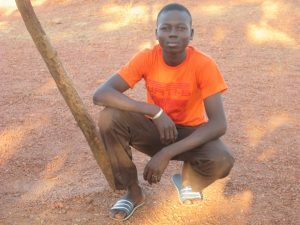 Transform Burkina was born, in 2010, out of first hand experience of poverty in Burkina Faso. Trustees, each of whom had visited the country, came together to found the charity in order to change what they had seen. Our aim remains to eradicate poverty in Burkian Faso, one life at a time. We work in partnership with local organisations and communities, believing that we can learn from one another and achieve more together. The generous, warm hearted and hospitable people of the ‘land of upright men’ (the literal translation of the name, Burkina Faso) have much from which we can learn in the West. To achieve this aim, we have developed a number of programmes, which are transforming lives in health, education, clean water and micro credit. You can read all the latest news on these projects here or sign up to receive our quarterly email newsletter here. For more information about Burkina Faso and the reality of poverty in the country, click here to visit the country page for Burkina Faso on the United Nations Development Programme web site.